One of the very first things I do when installing a WordPress blog is to hack the titles. By default the page titles that WordPress generates are not SEO friendly, and the individual post page titles put the title of the post after the blog and archive wording. The all in one seo pack plugin allows you to modify the blog’s meta tags through the WordPress admin panel as well as on the individual posts through the post editor. Its defaults are sensible and it represents a cleaner solution than hacking at the code to do it yourself because of the abstraction gained through the WordPress plugin architecture. It’s now part of my standard WordPress install and should really be a part of the core software. It often seems that everyone working online claims to have expertise in Search Engine Optimization. It isn’t that surprising given the returns (traffic and money) but because SEO is a winner-take-most game knowing a little bit of SEO is about as useful as being a “little bit” pregnant. And no matter how much someone might know about SEO, if they don’t execute better than their competitors they lose. 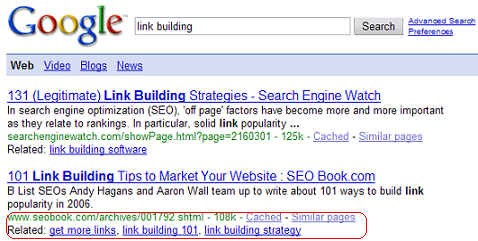 And the thing about loosing in SEO is that it’s a loser-take-none game. The returns from SEO only begin after achieving the top rankings. Moving in rankings from, say, 50th place to 20th represents virtually no traffic gain (seriously, it could be as low as a difference of a dozen visitors a month). So SEO is winner-take-most, where only the top spots get any significant traffic and in a competitive SEO market the secret is all about execution. You are competing directly against people who understand SEO (remember, everyone’s an “expert” here) and the depth of your insight that matters isn’t what industry names you can drop, or how well you can argue the pedantry of on-page optimization. It comes down to being able to focus your efforts more accurately and execute better than your opponent. Does your team execute more swiftly, efficiently and accurately than others? Does it do so without running increased risk of penalization? Does it cope with imitation and sabotage? If not, please remember that there is no silver bullet except having the best people in a fast-paced team who can out maneuver the competition and the search engines’ improving algorithms. If you really want to be competitive in SEO, and because of the nature of the game you shouldn’t bother if you don’t plan to be competitive, you need good people. And if things get competitive and the other guys have good people you need better people. So the secret to SEO is finding these technical rock stars to lead the critical portions of your online efforts. Businesses can be built around the right online marketing gurus, and when you find one, we’ll not only tell you how you can conquer your niche, but unlike the other “experts” we’ll actually do it.